Head and shoulder studio portrait of Alan Ramsbottom, in uniform. 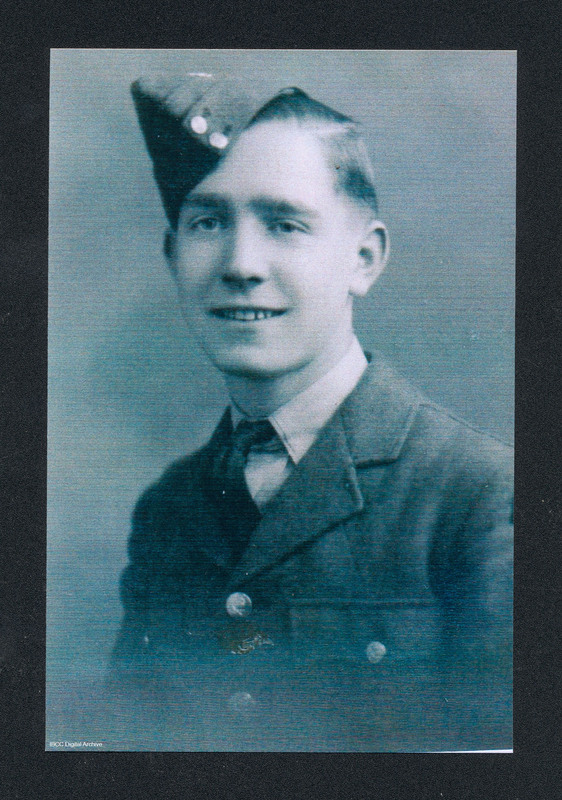 On the reverse 'Alan Ramsbottom, Sergeant 1482867, Air Gunner 57 Squadron, Royal Air Force Volunteer Reserve, Died Tuesday 20th March 1945, Age 22'. 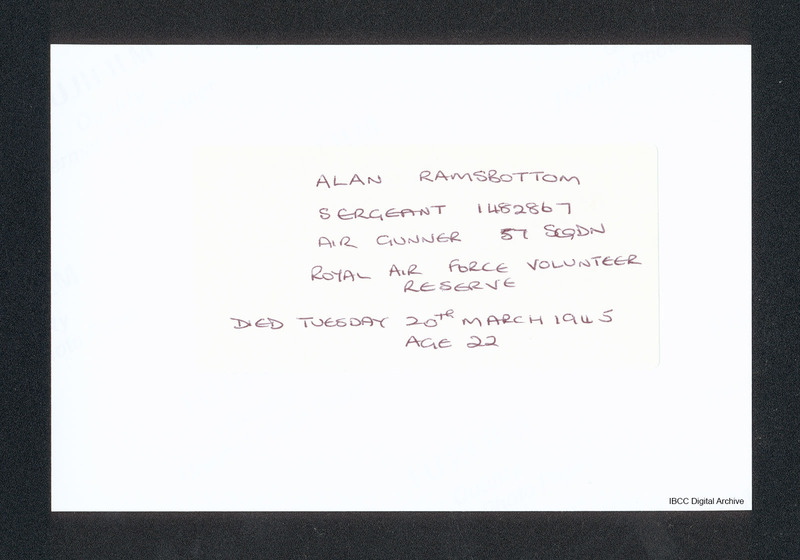 “Alan Ramsbottom,” IBCC Digital Archive, accessed April 25, 2019, https://ibccdigitalarchive.lincoln.ac.uk/omeka/collections/document/14900.